Why use Google Business View? How will users see my Business View? 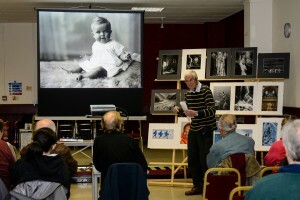 Mike Farrow, giving a presentation on his wonderful photography. One of our photographers, Stephen Pritchard, felt very privileged to be asked by his local camera club to be the event photographer for a very special evening. 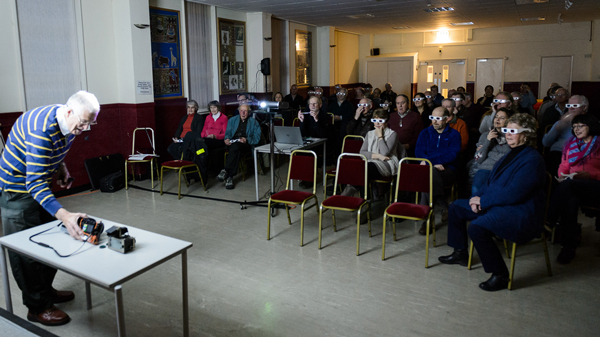 Long term member, Mike Farrow, was presenting an evening of fine photography with a special part covering 3D imagery taken with film. Everyone was requested to put on cardboard spectacles, which give the audience a slightly humorous sci-fi look. 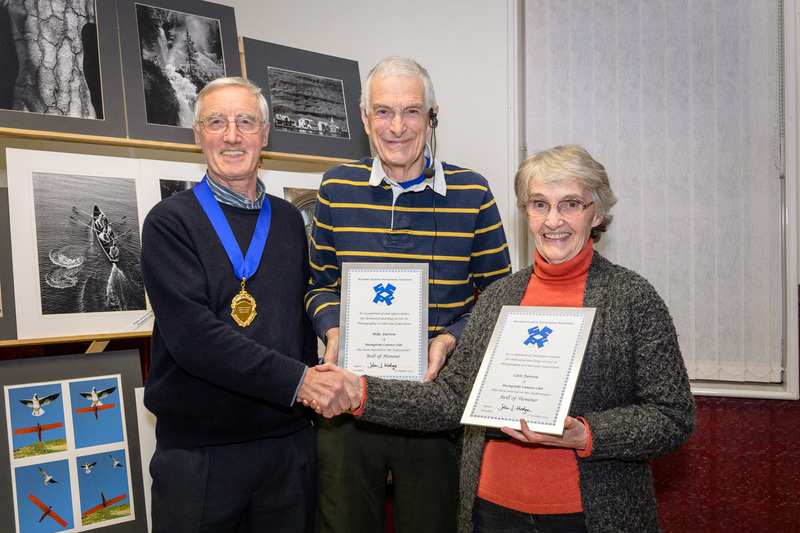 – a very special award for those who have given many years of support for club photography. generations of new club members into their home to instruct them in the craft of photography. From left, John Hodge, President of the SCPF, Mike & Cath Farrow both receiving a well earned SCPF Roll of Honour. After a short review of some of their many contributions, John Hodge presented them each with their Roll of Honour with everyone in the club applauding in what we all agreed was well deserved recognition.